Dash (DASH) is having a phenomenal year — just one year ago, Dash was worth about $10 per coin. This past week, Dash broke the $1000 barrier and at press time is trading for $1531. Dash runs a proof of work (PoW) and proof of stake (PoS) consensus algorithm. A portmanteau of “Digital Cash,” Dash aims to be just that: a realistic, reliable digital cash solution for the global economy. While Bitcoin and Ethereum look for off chain solutions to scalability, Dash has a rather ingenious on-chain solution to keep all transaction validations on the blockchain. In June of 2017, Dash really started to take off — the daily trade volume spiked to $100 million/day several times throughout the month and it became the one of the most talked about coins on Bitcoin Talk. ASU is one of the largest colleges in the U.S. with a population of 71,946 students. Dash’s developer community eventually reached to 30 full-time and 20 part-time employees, all who are paid by Dash’s budget system. This budget system is run by crypto’s first ever DAO, otherwise known as a decentralized autonomous organization. This positive news sent Dash price price to new all time highs and demonstrated that there is a strong demand for blockchain research within academic settings. Dash began the year at $11.62 and is currently sitting at $1389 – a gain of more than 11,900%. Evan Duffield founded DASH in 2014. Dash started out as XCoin back in 2014. One month later, it was rebranded to DarkCoin. One year and a month after that (March 2015), DarkCoin was rebranded to Dash. During the XCoin days, the release came off to a rocky start: The initial fork led to a bug that allowed 10% of the entire supply of Dash to be mined by whoever was mining at the time. 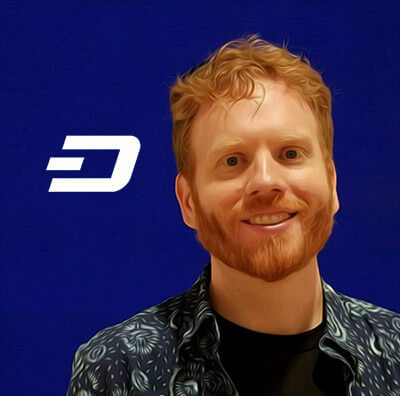 Evan Duffield, the founder of Dash, tried to rectify this by starting over or airdropping to broaden the distribution; the community rejected his ideas and decided to go forward with development. This led Dash to be sold at a very low price on exchanges, which eventually distributed the Dash network more evenly. While Bitcoin needs miners to take care of creating new blocks and validating transactions, Dash needs miners just to create new blocks; Masternodes own an entire copy of the blockchain and perform services for the network such as voting, PrivateSend, and InstantSend. Because responsibilities are split between Masternodes and miners, Masternodes receive 45% of each block reward. 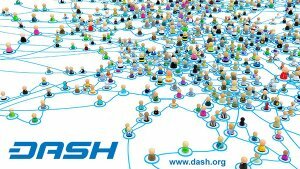 Miners receive 45% and Dash’s DAO budget system receives 10%. To become a Masternode, you must own 1000 Dash. This prevents Sybil attacks, a p2p attack that can happen when the hacker is assuming a large number of pseudonymous identities against a reputation system. There are currently about 4600 Masternodes in the network, whose average monthly income is about $8000. The more money put into Dash, the more a Masternode will be paid, giving Masternodes funds to update hardware that can keep up with all of their functions. With PrivateSend, Dash users can send anonymous transactions. When a user wants to PrivateSend, they will send an amount to a Masternode, whose job it will be to mask the transaction. This Masternode will never know who the sender or receiver is, and the transaction goes through without anything else needed from the sender. To read more about the technical details, check out Dash’s PrivateSend page. No one is using Bitcoin (high fees and long transaction times) to buy an espresso anymore. As the title suggests, InstantSend allows near-instant transactions to occur. These are sent to Masternodes, which verify the data. InstantSend is especially convenient in retail settings, such as coffee shops. With the current price spike, the Dash organization has an estimated $8 million monthly budget. 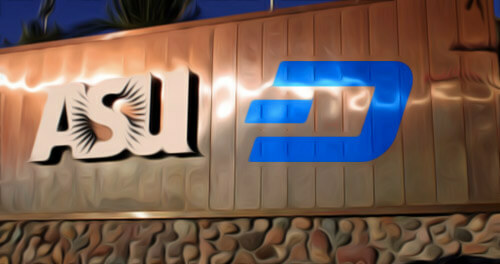 Duffield has even spoken about possibly of scaling the block size to 1GB, which would allow Dash to scale and compete with companies like Visa and Mastercard. Coming off a stellar year of growth and business development, Dash seems posed for an even stronger 2018. The message of Dash is very simple: Fast Digital Cash.